Hooked: Ireland's Golf Courses: ShopRite Twitter Poll... Philogyny or Phooey? in a positive way to help grow the game? 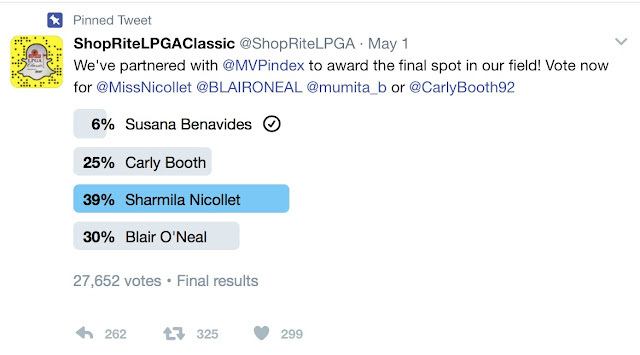 The tournament, relying on research from MVPindex, identified four active professional golfers who leveraged their social media following for a fan vote to determine which of them would be added to the field. They represent four different continents with over one million followers between them on Instagram, Twitter and Facebook. And when they say ‘four active professional golfers’… I read ‘four attractive professional golfers’. Tim Erensen, Executive Director of the tournament, said: “This contest gives our fans a choice to select one of the final participants in our tournament and exposes our event to millions of new fans around the world. Not only is that great for our tournament, it's also great for professional golf." It’s a clever promotional ploy, no question, but whether or not it’s great for golf I’m not so sure. Does it perpetuate the belief that what you look like is as important or more important than the abilities you possess. Type any of the four names into an online search engine and up pop photos of these women – with Blair O’Neill rarely out of a bikini. Does this help golf or does it tell aspiring young female golfers that they need to be pretty to succeed. I’m not doubting their abilities (look at their world rankings) but why does it need to be a beauty contest? That’s what this is, plain and simple, and how is that a role model for young golfers? I am also unsure how, as Erensen claims, this will expose the event to millions of new fans around the world. In what way will this encourage non-golfers to pick up a club and start playing? Because they are attractive? 1. Susana Benavides – the only Bolivian-born golfer to ever play in an LPGA event. She played golf while attending Ohio State University and has competed on the Symetra Tour. World Ranking: 1,245. 2. Carly Booth – a Scottish professional golfer. 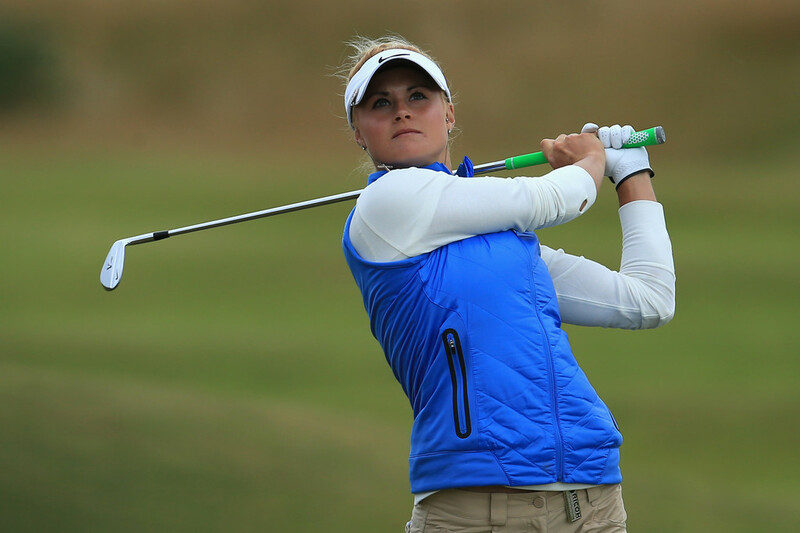 At age 17 she became the youngest Scot to qualify for the Ladies European Tour, where she has compiled two wins. World Ranking: 365. 3. Sharmila Nicollet – the youngest Indian golfer to qualify for Ladies European Tour and only the second Indian to earn a full card on the tour. She has 11 professional wins. World Ranking: Unknown. 4. Blair O’Neal – the Golf Channel host has played more than 75 events on the Symetra Tour. Winner of the “Big Break: Dominican Republic” reality TV golf competition. World Ranking: 1,041. In the end, 27,652 votes were cast on Twitter, and the winner, with 39% of the vote, was Sharmila Nicollet, who overcame the early leader, Blair O'Neill. Well, at least we don't need to worry about Blair playing in a bikini. I do not doubt that this will give Sharmila an incredible opportunity to play in a prestigious, top-tier event but, in terms of growing the game, I don’t think so... even if India is a golf market of enormous potential.